This issue features a dossier called “Past Unconscious: Psyche in the Afterlives of Freud.” Other essays in this issue include a reprinting of Talal Asad’s “The Idea of an Anthropology of Islam”; an analysis of the personification of animals in W. G. Sebald’s fiction; a philosophical analysis of the construction of tragic fate in classic works; Derrida’s concepts of spectrality applied to horror films such as The Sixth Sense; and featured works of the artist Hanaa Malallah. Contributors include Talal Asad, Alan Bass, Gabriela Basterra, J. M. Bernstein, Catherine Malabou, Hanaa Malallah, Christopher Peterson, and Slavoj Žižek. 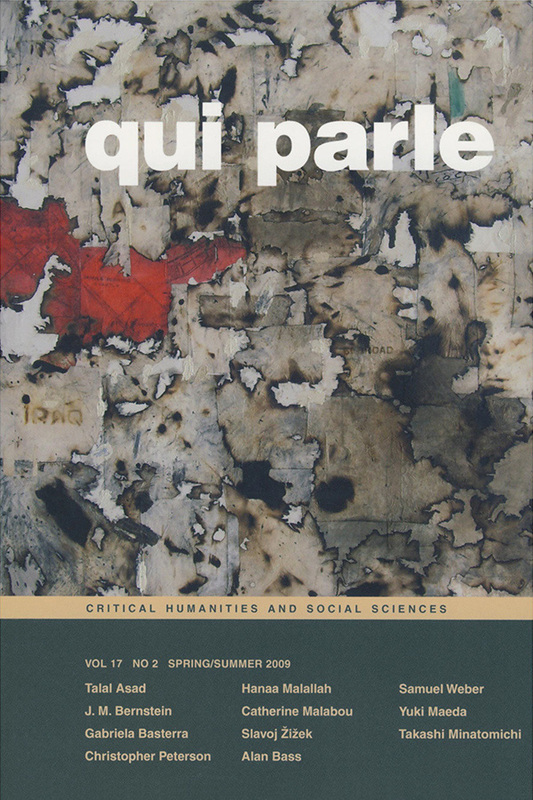 View the table of contents for Qui Parle 17:2, at the journal's online site.